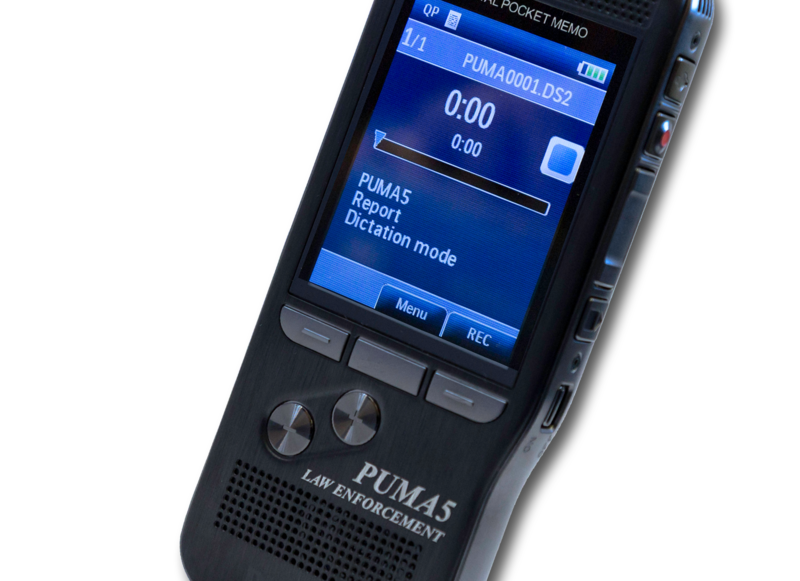 The PUMA 5 is the First and Only Dual-Functioning Digital Audio Recorder for Law Enforcement. Effortlessly switch between Contact, Tactical and Dictation modes in order to document interactions with the public, record covert situations, or dictate police reports on the go. 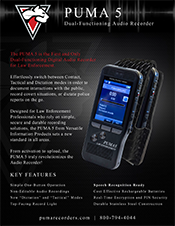 Designed for Law Enforcement Professionals who rely on simple, secure and durable recording solutions, the PUMA 5 from Versatile Information Products sets a new standard in all areas. From activation to upload, the PUMA 5 truly revolutionizes the Audio Recorder! 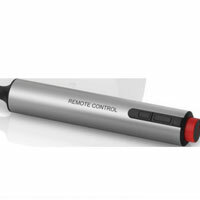 Officers can easily activate the recorder without losing focus of the situation at hand. Allows the officer to quickly see when the recorder is recording. No editing record mode protects the integrity of the original recording. Effortlessly switch to Tactical and Dictation modes in order to record covert situations, or dictate police reports on the go. 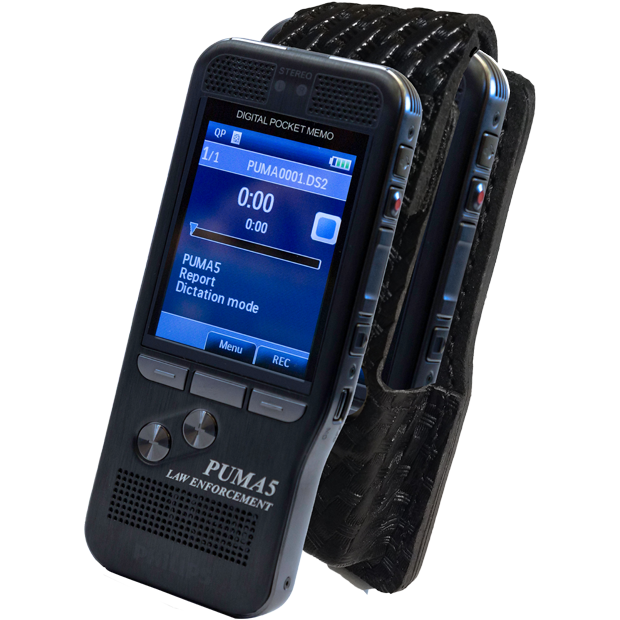 PUMA 5 offers unparalleled audio quality that can be used with speech recognition software. 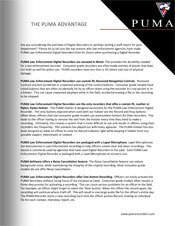 Recordings can be encrypted and the recorder can be assigned a PIN code to protect against unauthorized use or file playback. Puma 5 Recorder, Puma Police Holster and download software included. 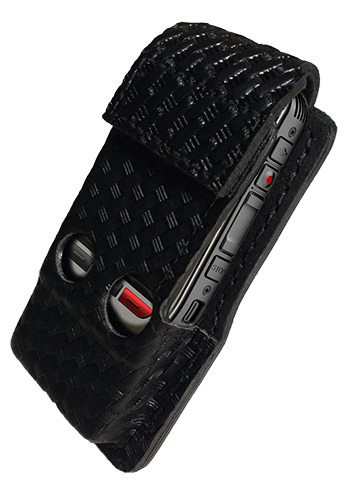 PUMA Kydex Holster A custom designed PUMA Police Holster is available in basket weave plain kydex smooth leather or Molle – with spring clip for the Sam Browne. The holster is constructed with Kydex for added durability while the easy access openings provides for one-handed operation. PUMA Remote Switch The Remote Switch allows users to Start and Stop recordings directly from the Push Button Switch. The top illuminates RED while recording. PTCM Tie Clip Microphone The PUMA Tie-clip microphone is a small, lightweight microphone that can be clipped to the collar or under a jacket or shirt for concealment. 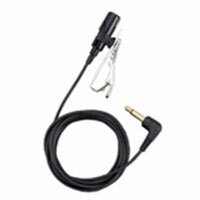 The PUMA Tie-clip microphone is an ideal accessory for the PUMA Police Special digital voice recorder. PTP-8 Portable Telephone Interface The PTP-8 Portable Telephone Record Adapter makes phone recording a snap, acting as a multipurpose earphone/telephone pickup. 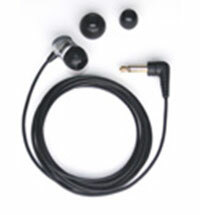 Just plug the PTP-8 jack into the “MIC” jack of the PUMA Recorder, and put the earphone side into your ear. When speaking on the telephone, the PTP-8 will capture both ends of a phone conversation. PTRX-20 B 3.5 Telephone Interface Land Line The PTRX-20 B 3.5 Telephone Interface adapts a PUMA II to both single and multi-line telephones. 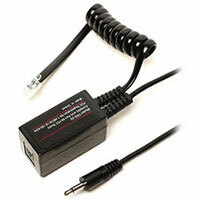 The PTRX-20 B 3.5 is compatible with all modular type telephones. The unit is installed in a matter of minutes by merely “plugging” in the unit. The PTRX-20 B 3.5 clearly records both ends of the phone conversation.